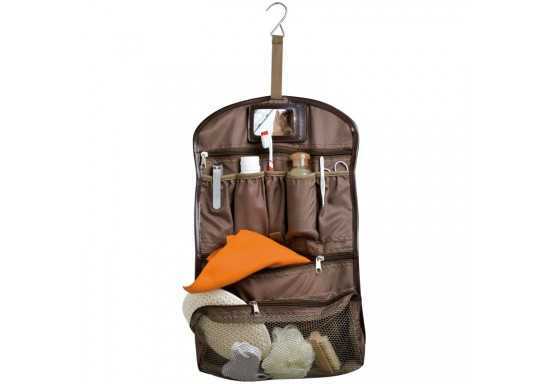 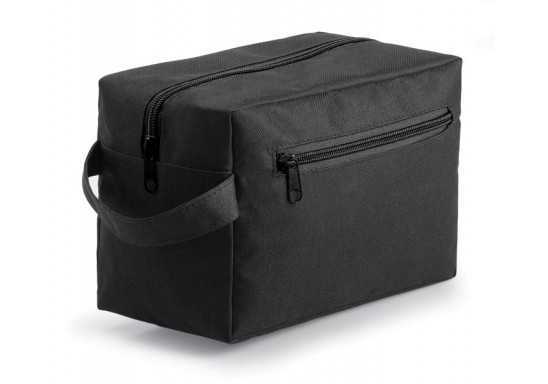 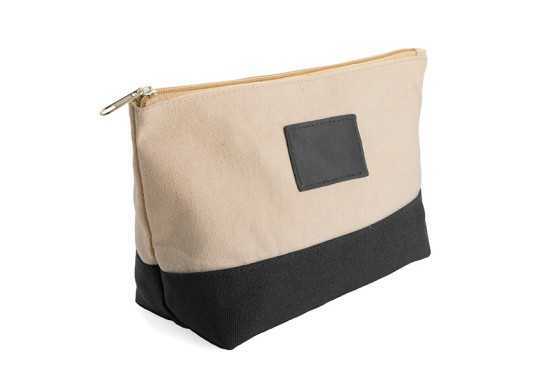 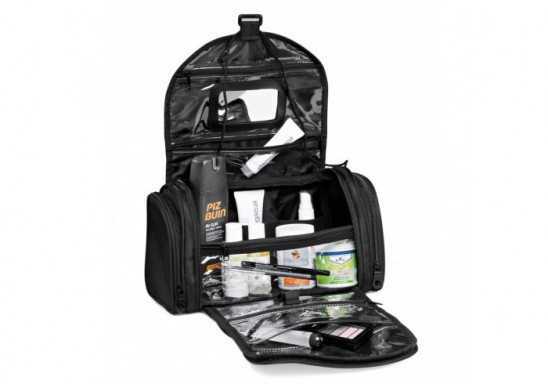 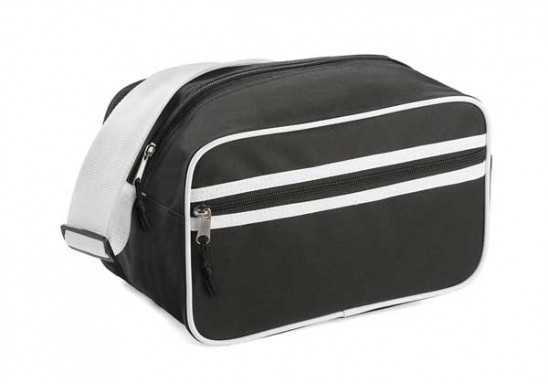 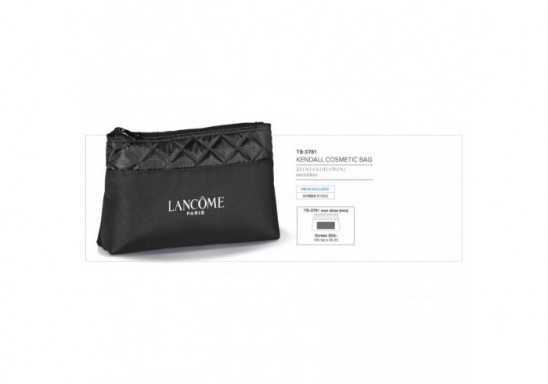 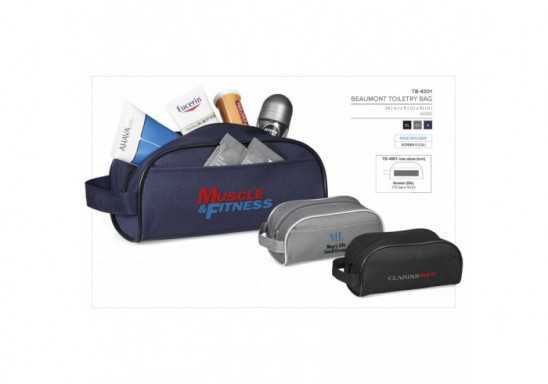 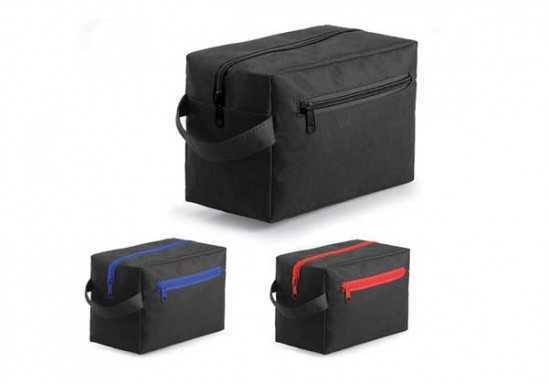 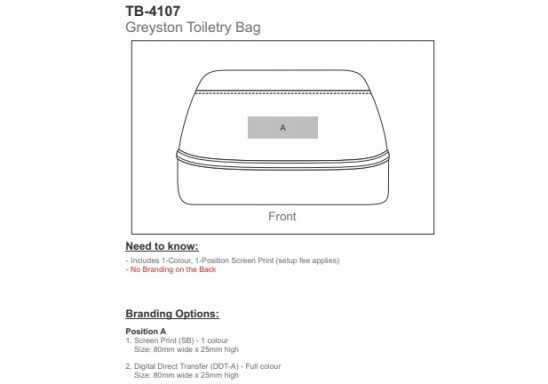 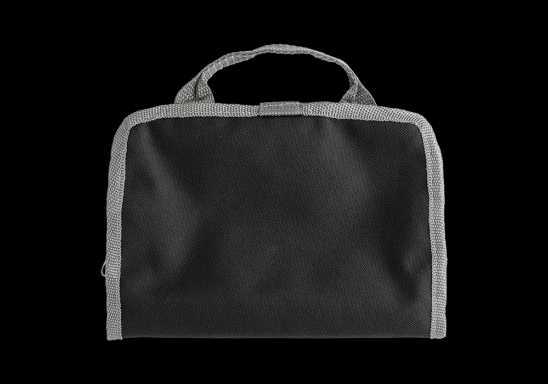 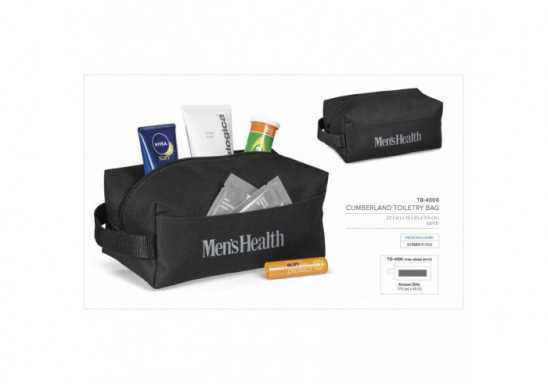 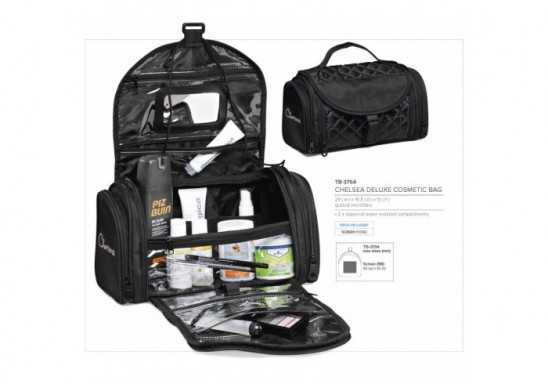 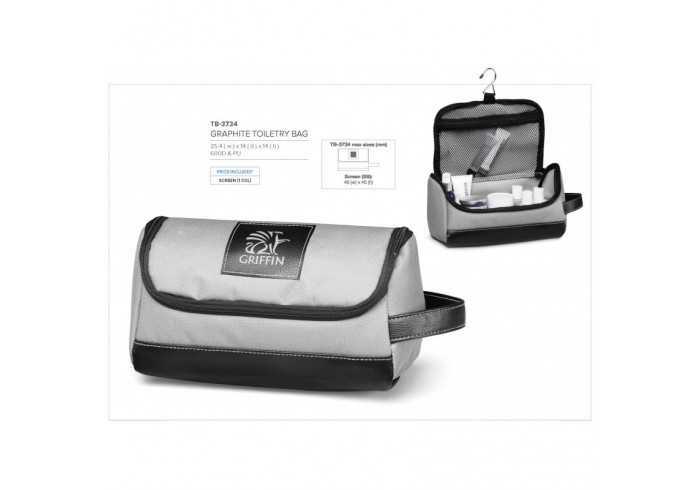 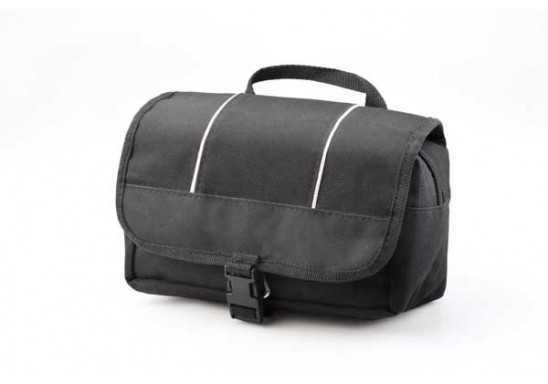 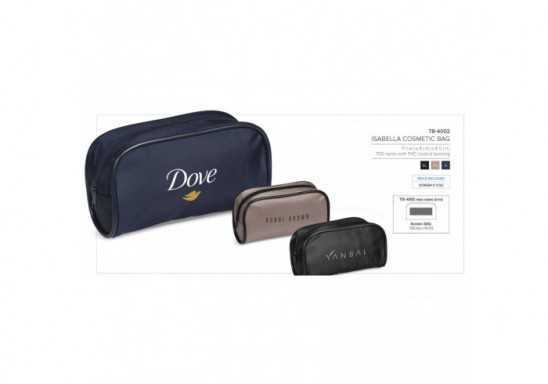 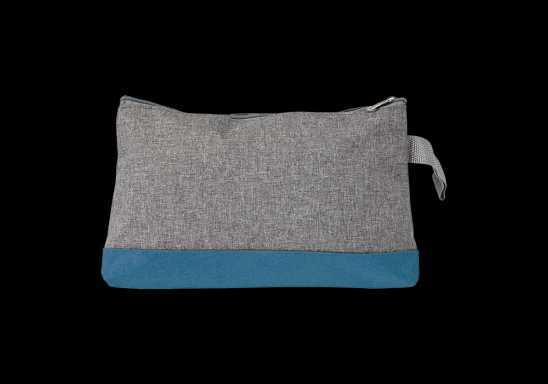 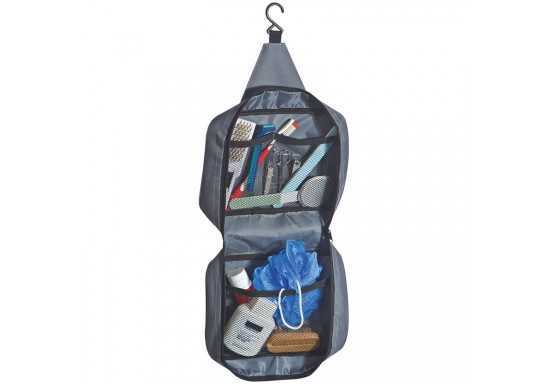 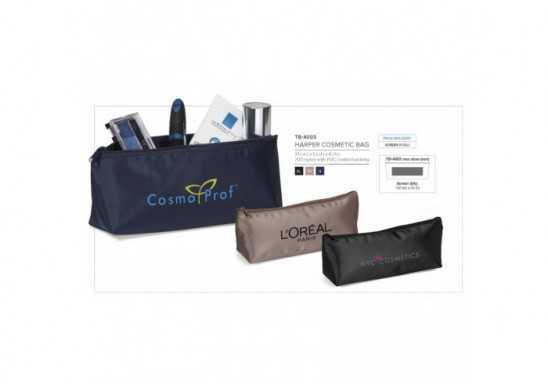 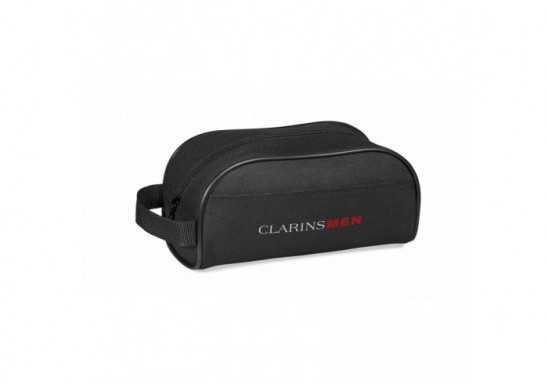 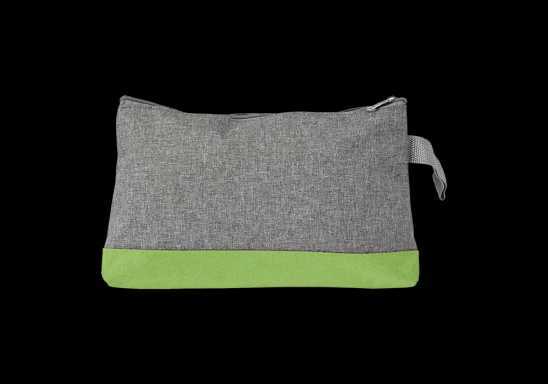 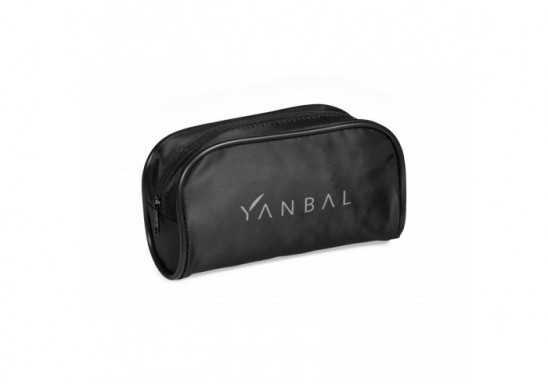 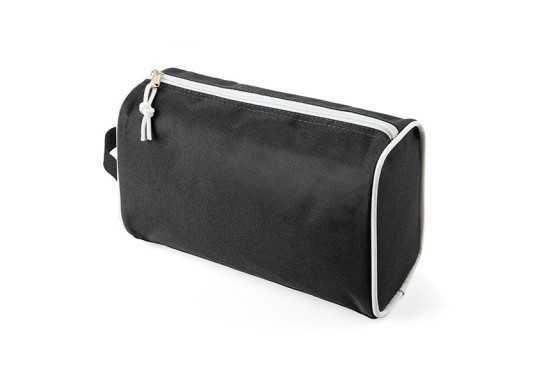 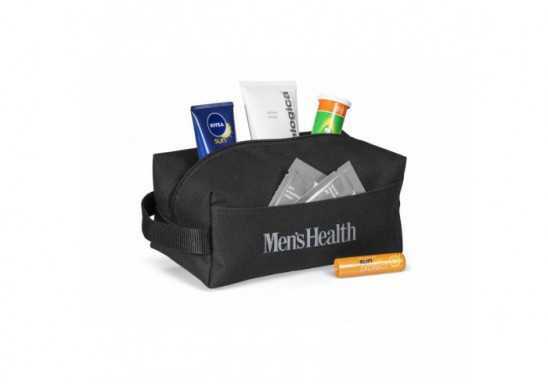 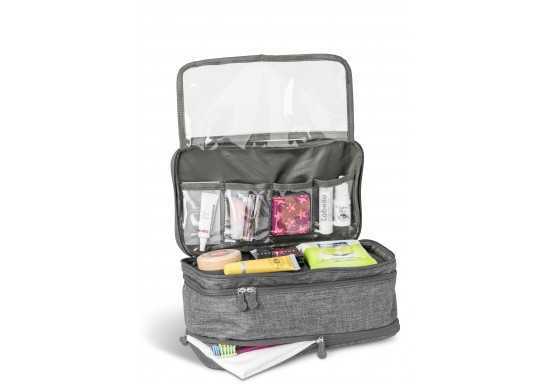 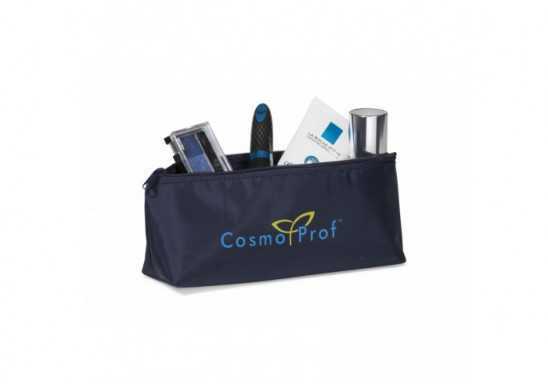 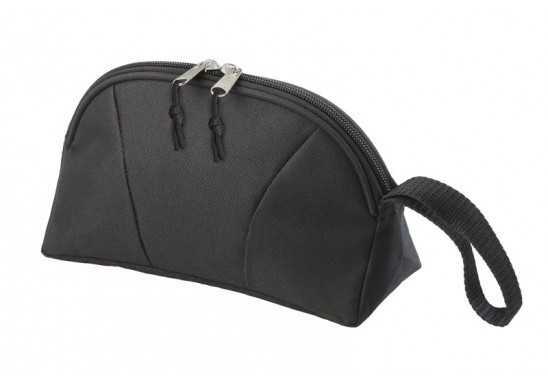 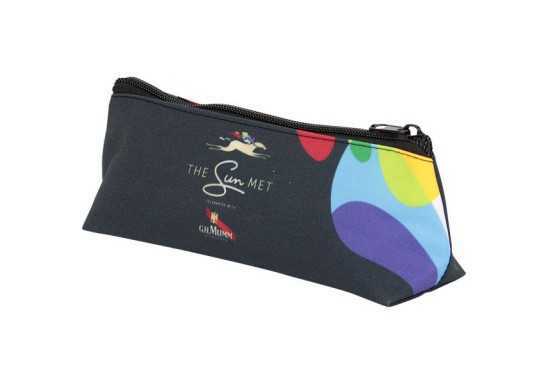 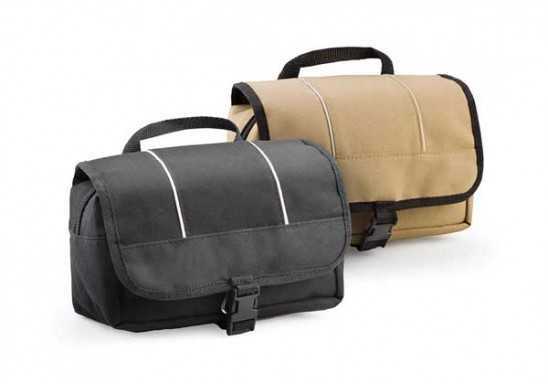 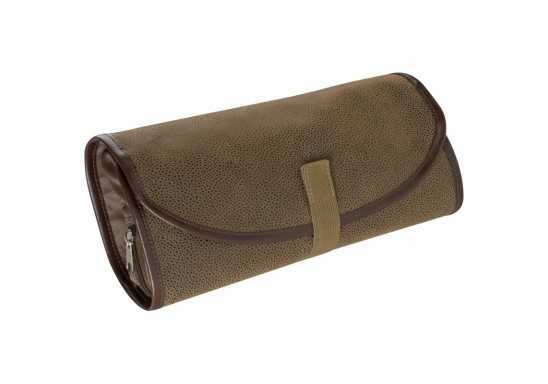 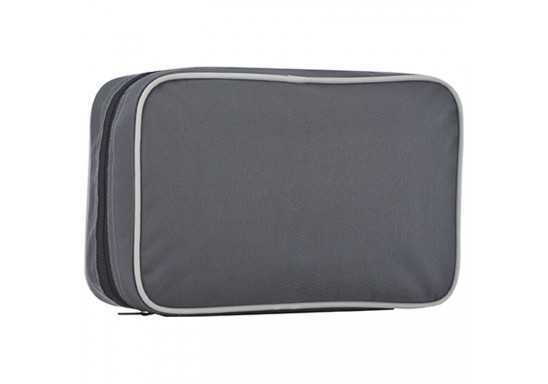 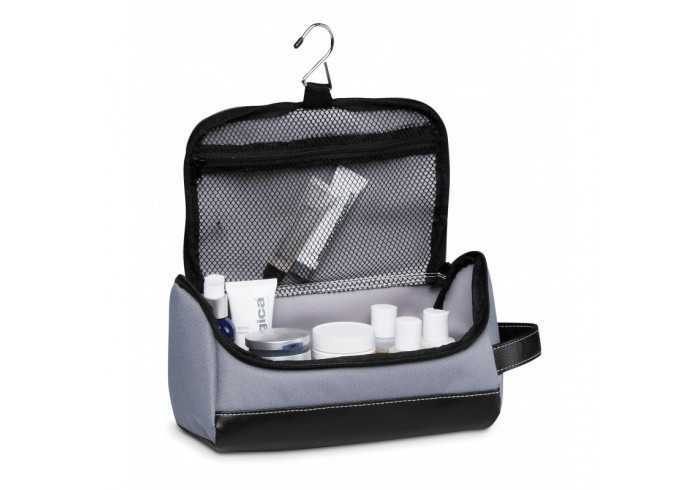 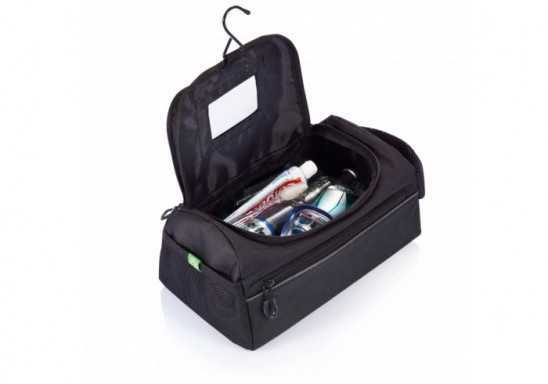 An ideal toiletry kit bag for frequent travellers and airline employees. 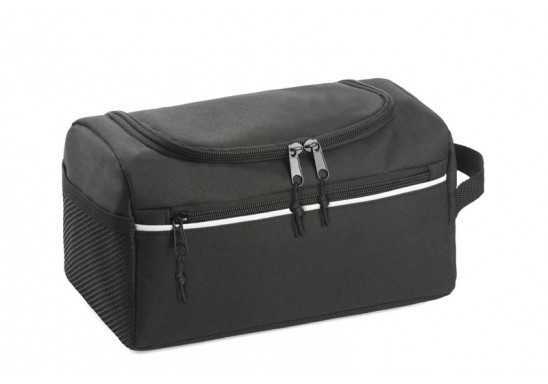 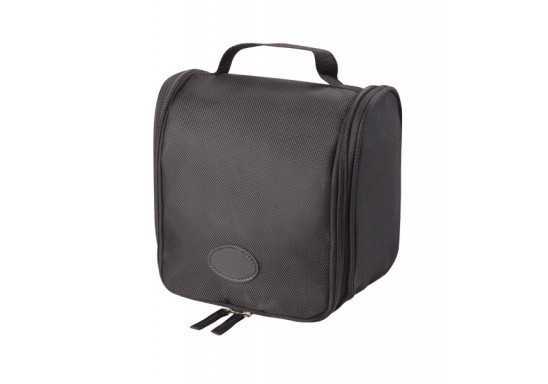 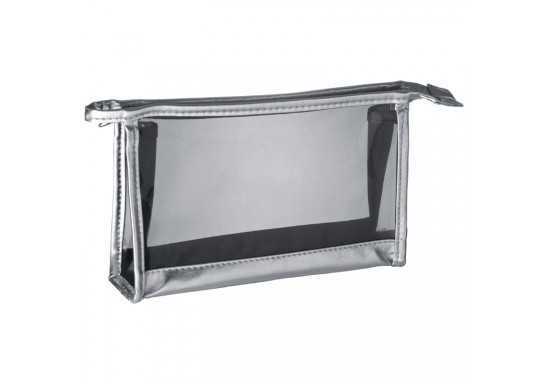 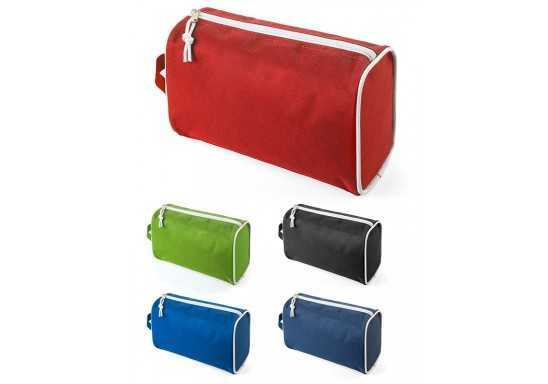 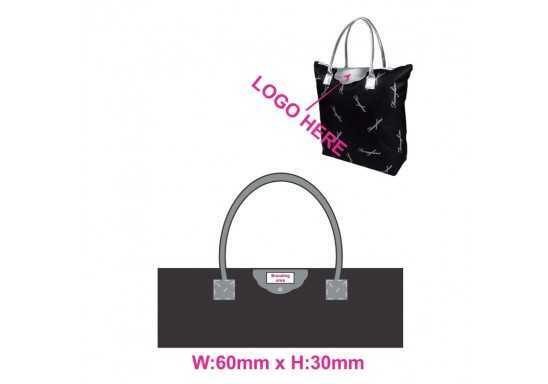 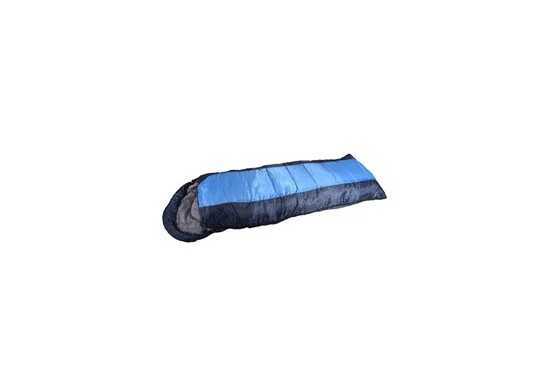 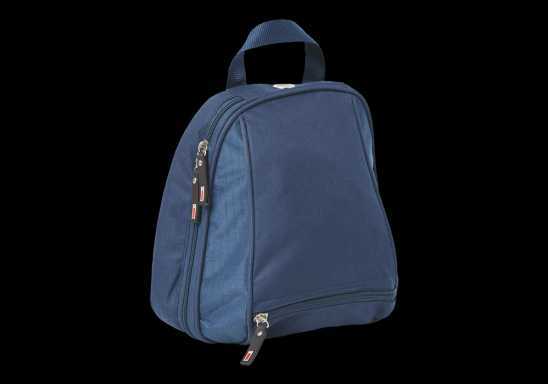 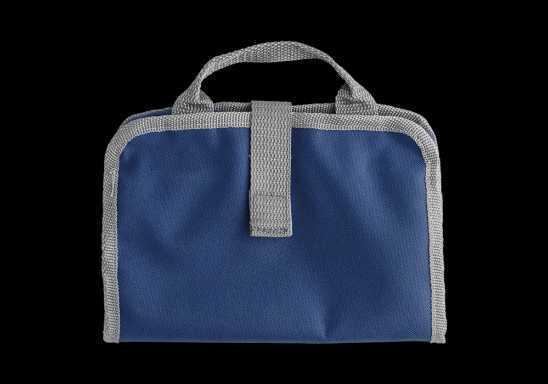 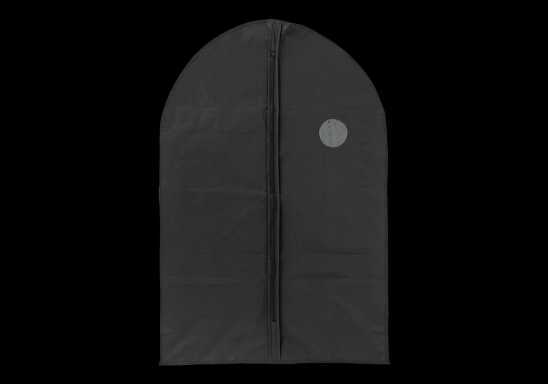 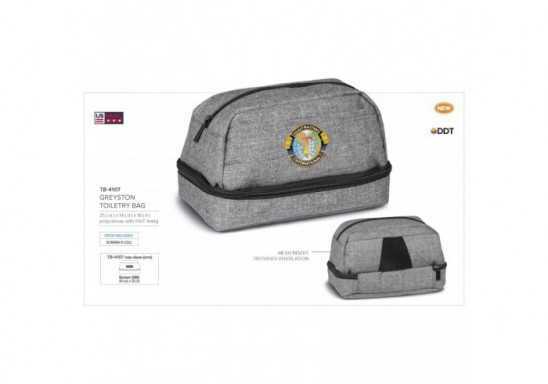 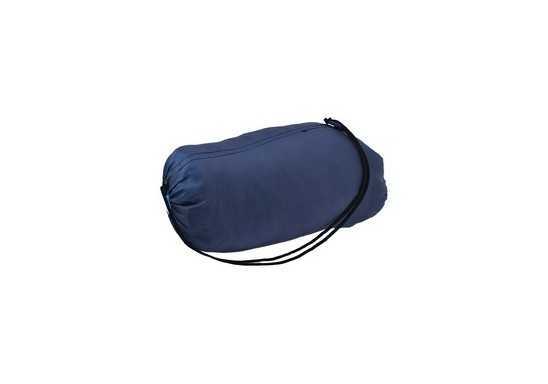 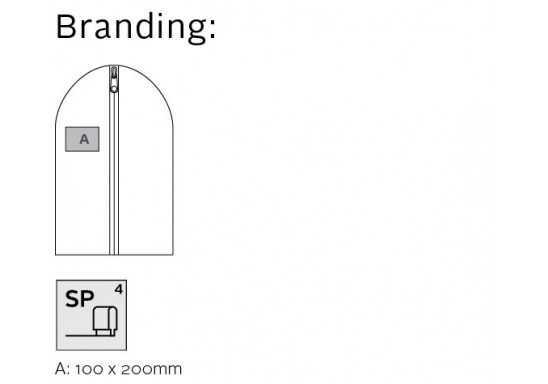 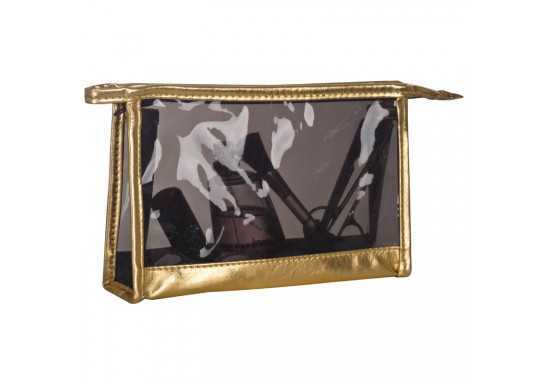 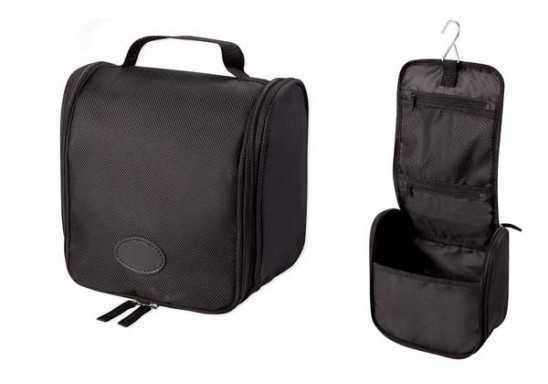 Features a zippered compartment with interior mesh zip pocket, 2 side zippered pockets, colour and stitched end grab handle and hanging swivel hook . 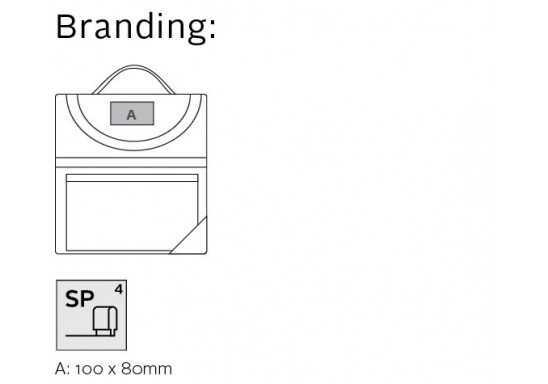 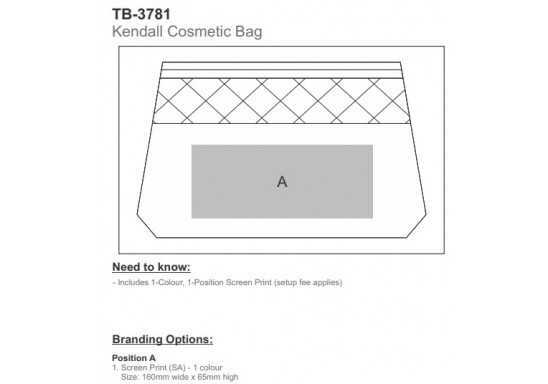 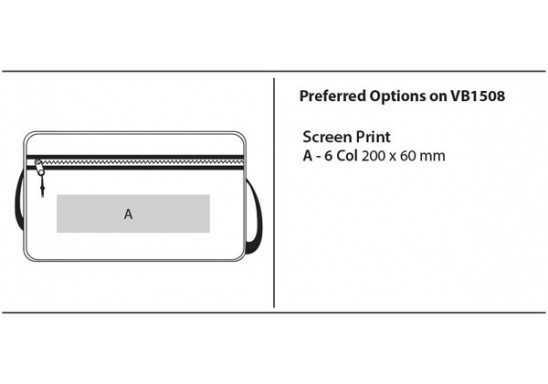 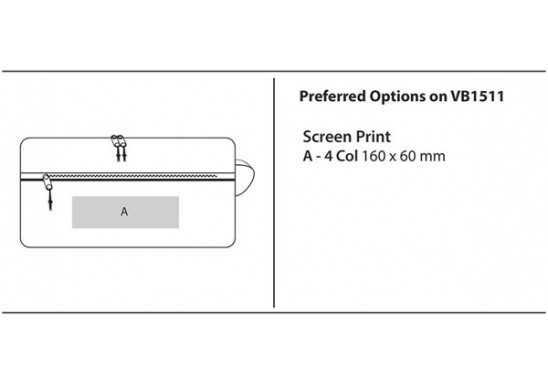 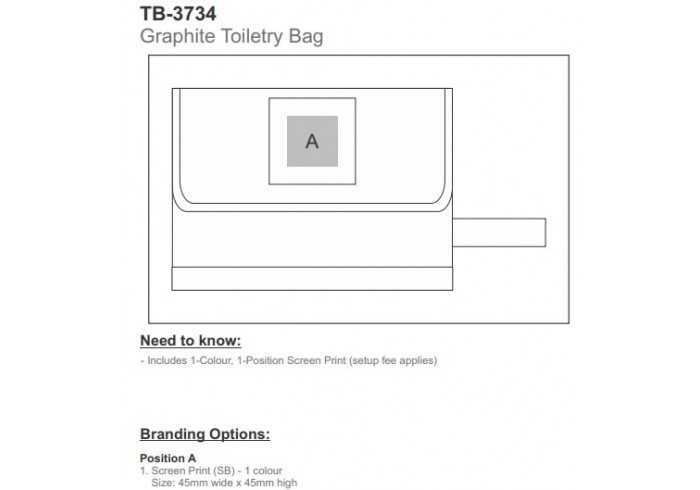 Leatherette patch on top section of bag , great area for branding . 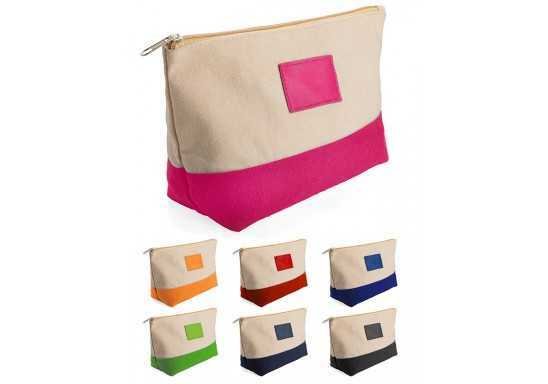 Two tone • 600D & PU: 25.4 ( w ) x 14 ( d ) x 14 ( h ).